Passion, talent, work ethic -- all things that go into making art. Also: money -- because you gotta eat and have somewhere to live. 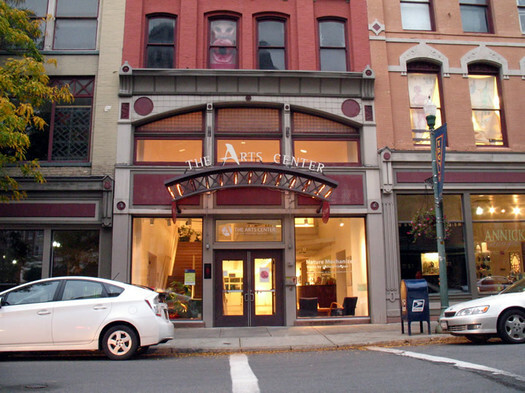 The Arts Center of the Capital Region is hosting two courses starting this fall that focus on the business of being an artist -- planning, marketing, legal, and making money. One is a weekend-long boot camp, the other a class that meets regularly across several months. Both are a free, but require an application. If you're interested in either one of these programs, be sure to read through all the details at the links about eligibility and the application process. Blurbage: "Featured topics will include strategic planning, finance, law, marketing, and fundraising. Additional material will be drawn from NYFA's popular textbook The Profitable Artist (Allworth Press, 2011). The Boot Camp's structure is a blend of formal lectures, breakout groups, and one-on-one meetings. Participants work through a flexible and dynamic "action plan" that provides a blueprint for their future project, career, and business goals." Blurbage: "Nuts, Bolts & Beyond will be a transformational program to develop the skills needed to establish, operate, and strategically manage an art practice. This program asks artists to deeply examine their individual life-paths and career goals, incorporating the nuts-and-bolts business principles necessary to achieve those goals. Through professional development seminars, skills-based workshops and networking opportunities, artists will learn to identify patrons and mentors and choose the best business practices to enhance effectiveness and visibility in their chosen field."